For May’s staff profile we will be learning a little more about Greg Wells. Greg is one of our Victorian based Account Managers and has been with us since May 2016. 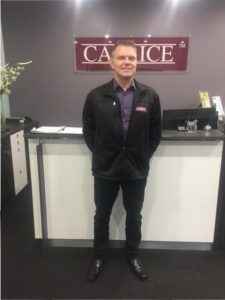 Greg enjoys working at Caprice because he finds all his co-workers very friendly and helpful. Although there’s certainly some friendly rivalry once footy season comes around. Greg, like many others at Caprice, is an avid Hawthorn supporter. In Greg’s spare time he enjoys playing golf, although he claims he doesn’t play very well. He also enjoys travelling and took time last year to visit Los Angeles, Las Vegas & San Francisco with his family. Greg said “they had an amazing time”, which we don’t doubt. He’d also love to travel to New York and England. Speaking of family, as well as his lovely wife Deanne and two kids, Greg has a Black Golden Retriever x Border Collie named Stella. Unsurprisingly, Greg’s favourite season is footy season and we imagine he is looking forward to the next few months. 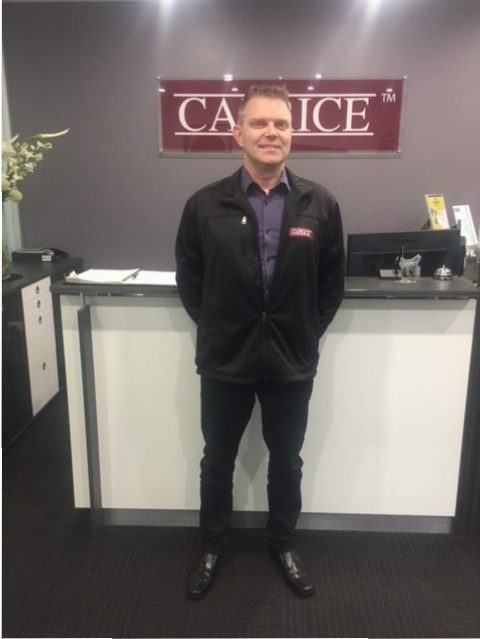 Caprice love having Greg as part of our team and look forward to working with him for many years to come!